Home Articles	Details on ‘Avengers: Infinity War’ revealed whilst Captain America: Civil Wars begins shooting! Details on ‘Avengers: Infinity War’ revealed whilst Captain America: Civil Wars begins shooting! 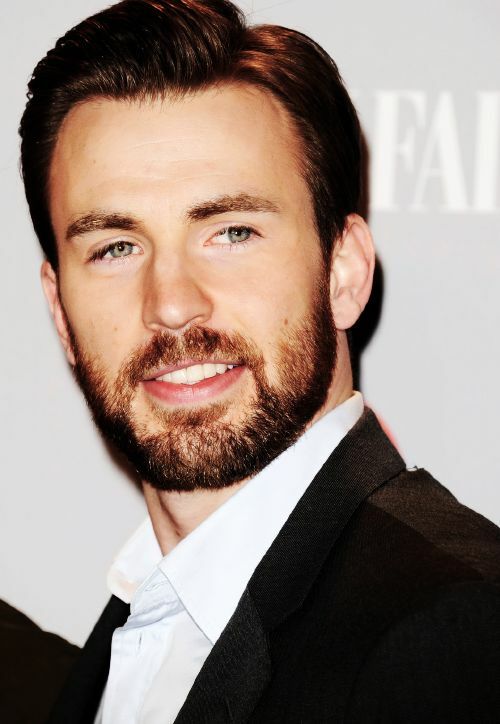 Say goodbye to Chris Evans’ beard as Captain America: Civil War has begun shooting. Filming began in Georgia and will move to Puerto Rico and Berlin before wrapping up around August/September. The film will follow from the events that happened in Age of Ultron and will also star Robert Downey Jr (as Iron Man), Scarlett Johansson (as Black Widow), Jeremy Renner (as Hawkeye) and Elizabeth Olsen (as Scarlet Witch). The plot will be based upon Captain America and Iron Man leading opposing factions, causing an epic battle between the two Avengers. Captain America: Civil War will be the first film to start Phase Three in the MARVEL Cinematic Universe whilst also being the thirteenth instalment in the franchise. 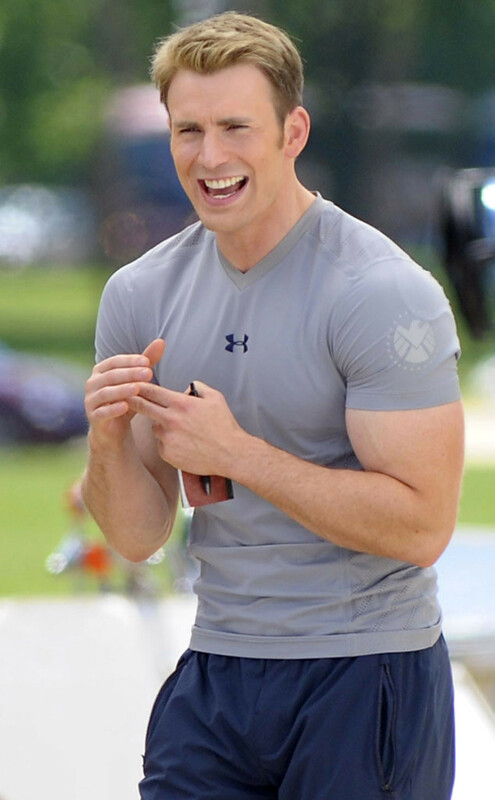 The film is scheduled to be released May 6, 2016 with Anthony and Joe Russo returning to direct the upcoming superhero film. Not only will they be directing Captain America 3 but the brothers will also have their first take at directing the next Avengers! Joss Whedon recently announced that he will not return to direct Avengers: Infinity War Part 1 & 2 therefore the Russo brothers will be replacing him. In more news regarding Avengers: Infinity War, Chris Evans was recently interviewed by Esquire magazine in which he revealed that Part 1 and 2 will be filmed simultaneously saying “We start the Infinity War, I think, some time in the third quarter. Fall or winter of 2016. That’s going to be like nine months to shoot both movies back to back”. 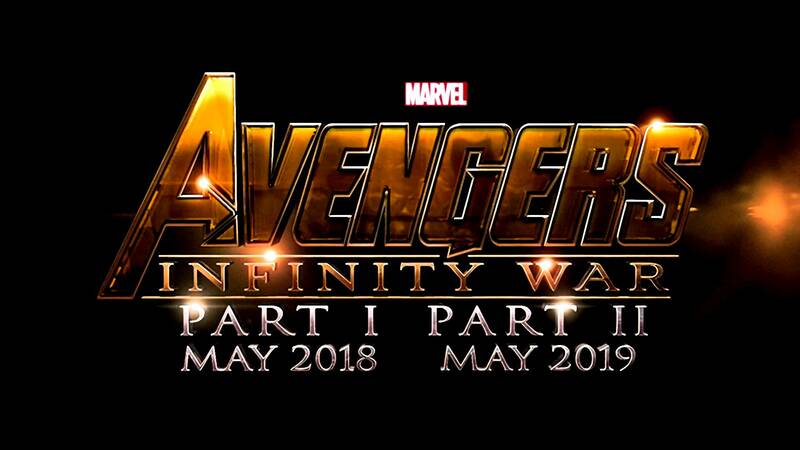 MARVEL will continue with May releases each year with Infinity War – Part I set for May 3, 2018 and Part II set for May 2, 2019. In between the two parts, MARVEL will release ‘Black Panther’ (a character who will be introduced in Captain America: Civil War) and ‘Captain Marvel’ (a female superhero who appears in the MARVEL comics). After Infinity War: Part II, Phase Three will conclude in 2019 with ‘Inhumans’ containing characters who were first introduced during the second season of‘MARVEL’s Agents of S.H.I.E.L.D’. MARVEL are definitely keeping busy but who are we to complain when we have so much Superhero action to look forward to?!! 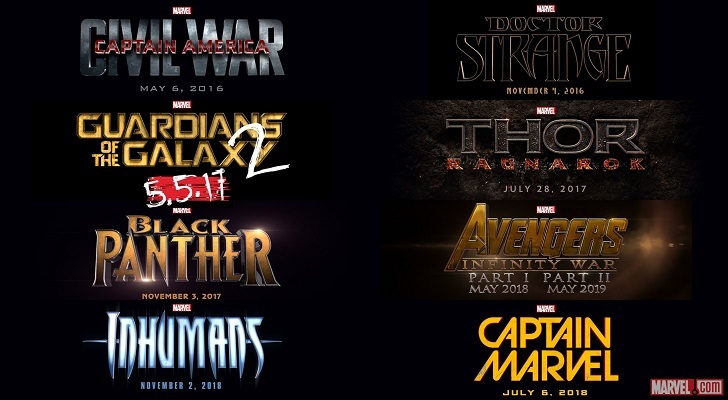 MARVEL CINEMATIC UNIVERSE – PHASE THREE, FILM LINE-UPS.